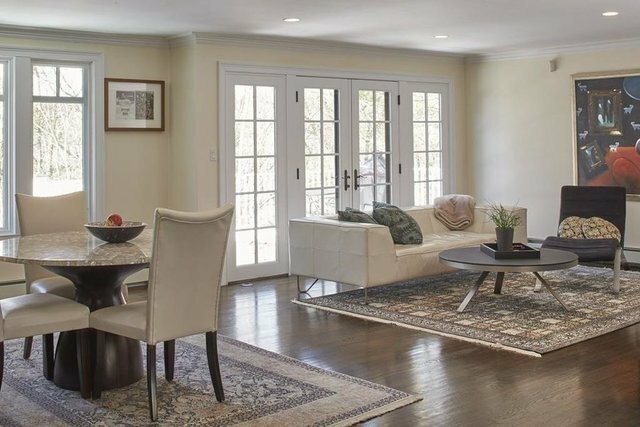 Superbly located in Weston’s golf club neighborhood, this home was completely rebuilt in Year 2000. Recent renovations optimize the dynamic floor plan and open doors to luxury living. A refreshing farmer’s porch invites you to a well scaled 5 bedroom home that promises lifestyle maximization. Sun splashed family room leading to a new back yard deck, elegant formal living and dining rooms perfect for entertaining as well as a fire-placed first floor office define the main level. The second floor highlights a tasteful master suite, a junior suite with fireplace, 2 additional family bedrooms and a bath plus laundry room. Walk out lower level offers a second family room featuring a spectacular brick fireplace wall with brand new hard wood floors and a seamless connection to the outdoors. A private guest room and full bath enable even more possibilities. Begin and end your day in an experience of distinctive estate setting just 20 minutes from Boston’s historic back-bay!